Zambia is a country which is known as one of the most diverse countries and it is extremely beautiful. You could actually say that this place is unspooled, as its natural beauty makes it mesmerizing. You can see the majestic Victoria Falls here, plus a myriad of other falls all across the country. The famous attractions include the Zambezi River, as well as the many National Parks here. The culture is absolutely friendly, amazing and makes Zambia a must place to visit. To Know about the complete Process of Zambia Visa Application & required documents and all, read below. In the case of Zambia visa, the whole visa application process is entirely online, and one could have their visa in as less as 2-3 working days. Once an applicant received approval letter of Zambia visa that allows travelling to Zambia. On arrival, the applicant’s visa handed to them at the immigration office itself. The only catch here is that there are only three airports in Zambia that will accept the E-visa, which are Simon Mwansa Kapwepwe International Airport in Ndola, Harry Mwaanga Nkumbula International Airport in Livingstone, and Kenneth Kaunda International Airport in Lusaka. A valid passport is necessary for at least 6 months from your date of arrival in Zambia. The information page of your passport needs to be scanned, plus a digital photo should be attached to it. Here, you need to submit a minimum information about yourself on Zambia Online Visa Application portal. This would include your name, passport information and address. Then, you have to choose the processing time and make the payment. For this, you could use your credit as well as debit card information. Lastly, upload any additional documents and then submit your form. Once you are done, you wait for the approval letter to arrive via email in the timeframe of your choosing. Multiple Entry Visa – This Visa allows the traveller to fly & enter Zambia multiple times during the validity of the visa. The fee is the US $80. note: Multiple Entry Visas shall only be issued by Headquarters through the e-visa facility. Note: Single Entry, Double Entry and Multiple Entry visas shall be valid for 90 days from the date of the first issuance, with the exception of nationals from the United States of America for whose Multiple Entry Visas have a validity of 3 years, on the reciprocal basis. Day Tripper Visa – A Daytripper visa is issued at a port of entry to a tourist who visits Zambia for a period of fewer than 24 hours and makes exit through the same port. The facility will also apply to tourists visiting Zambia and wish to visit a neighbouring country and re-enter within 24 hours. The fee is the US $20. Note: This Day Tripper Visa shall only apply at Kazungula Border Controls & Victoria Falls. The electronic visa or E-Visa is an online facility for applying visa to Zambia. All persons who are planning to visit Zambia for tourist, business or meet/visit ordinarily require a Visa & eligible to apply for E-visa through this online facility. All ordinary Visitors and Tourists are entitled to a free 90 days visit in any period of 12 months from the day of first entry into Zambia while business Visitors are entitled to a free 30 days visit in any period of 12 months. The KAZA UNIVISA allows travellers to visit both countries i.e. Zambia & Zimbabwe for multiple times on a single visa & it will cost around USD 50. The validity of this visa is about 30 days but valid only when holder remains within Zambia and Zimbabwe. KAZA UNIVISA works for those who are travelling through Kazungula borders to visit Botswana for a day-trip. Zambia is a beautiful country, and you must visit this once in your life for sure. To make your Zambia visit as a tourist or business or study, apply for a visa first carefully. 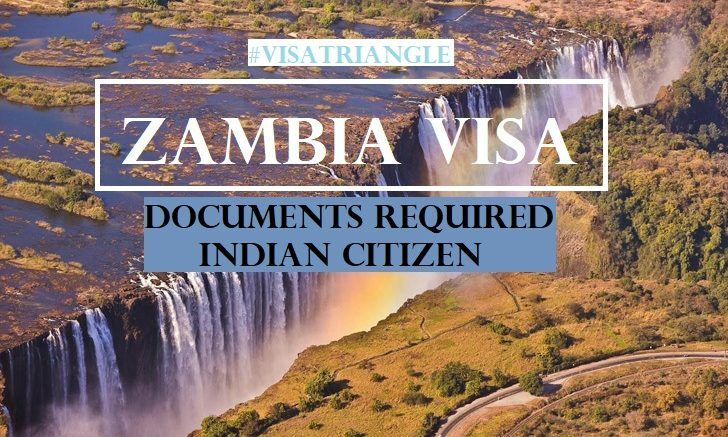 Need assistance for Zambia visa or any other travel related services like flight tickets, hotel bookings, travel insurance or Zambia tour packages; please let us know, our team of expert will guide and do needful as per your demand.